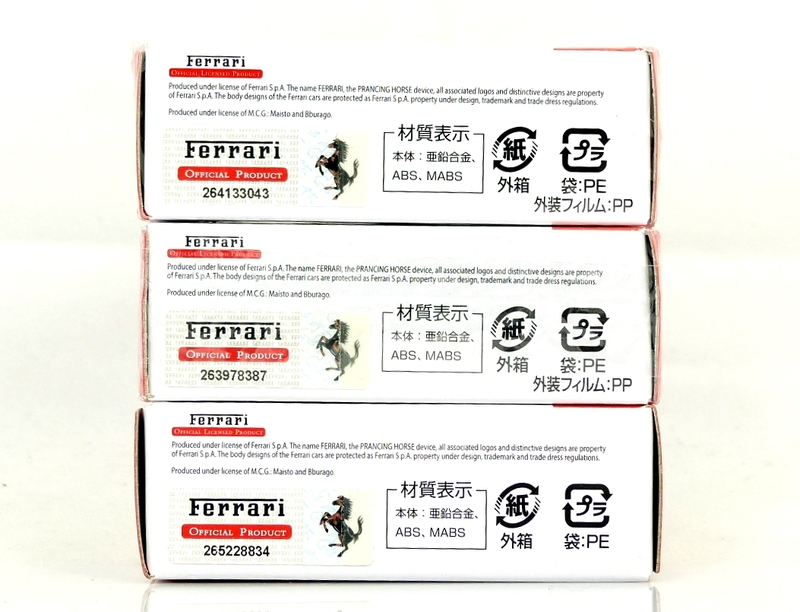 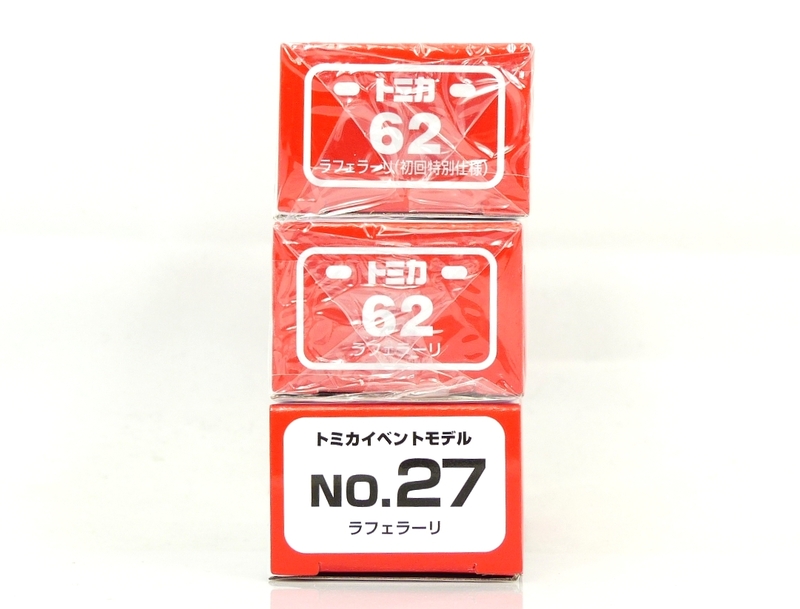 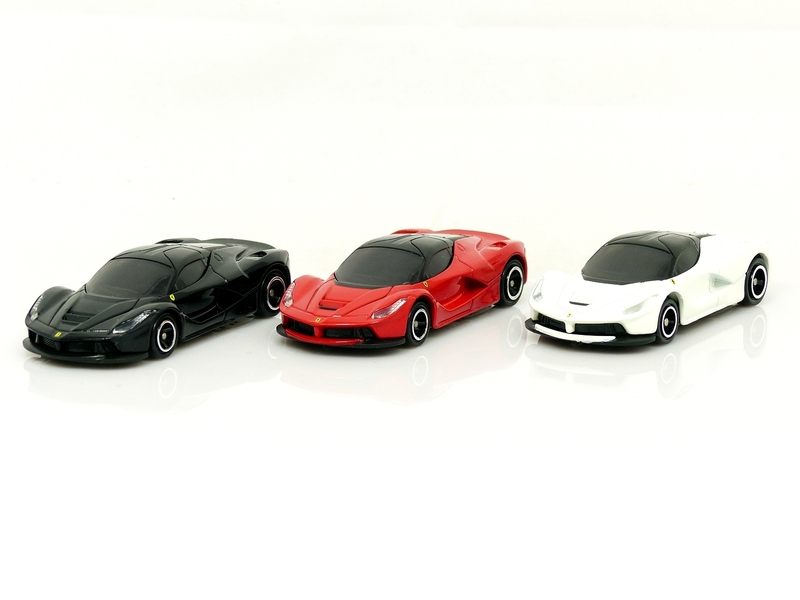 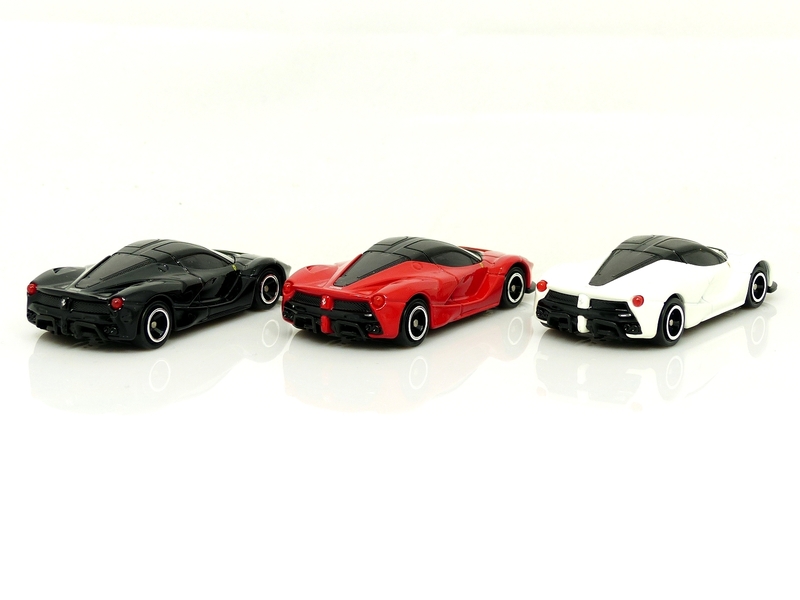 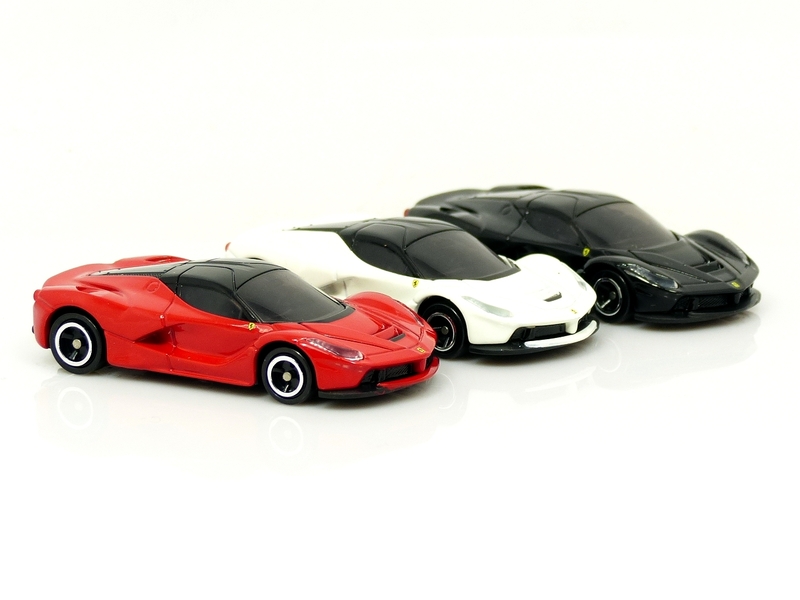 This is a rare opportunity to buy all three of the individually boxed Tomica LaFerrari’s in one place. 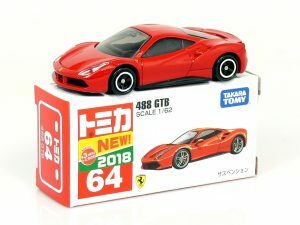 Including the first edition finished in black, the standard red with a black roof version, both packaged in factory sealed “NEW 2018” boxes. 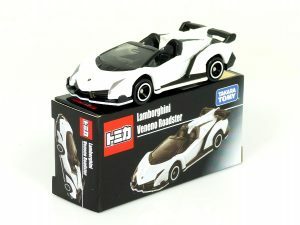 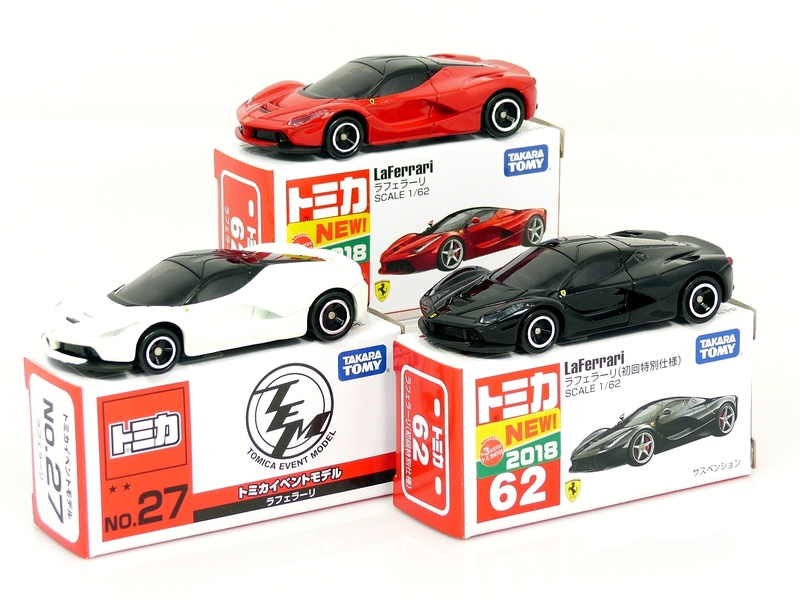 Also included is the Tomica Event Model La Ferrari that originally sold out in 10 minutes when first released in Japan, this toy was never sold in a sealed box but it is as new. 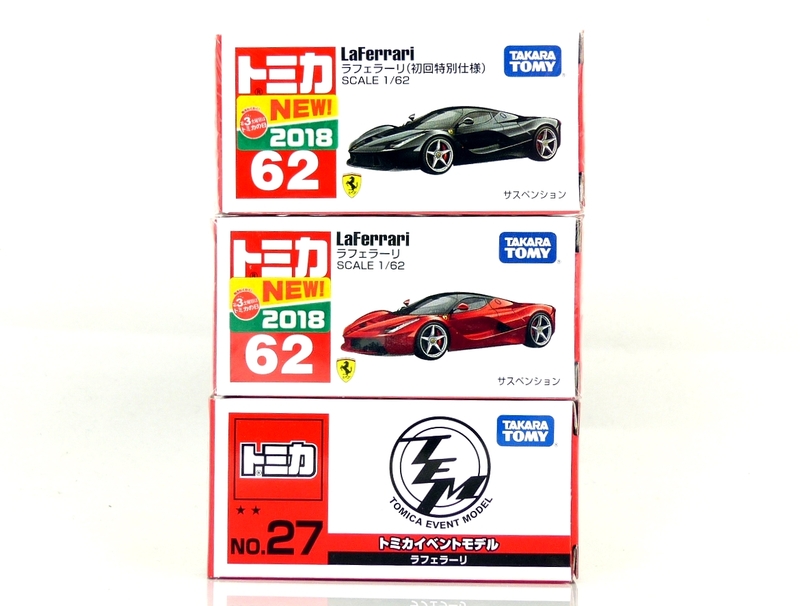 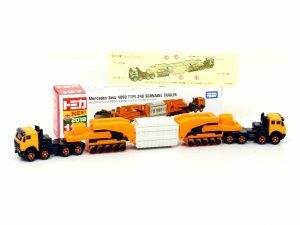 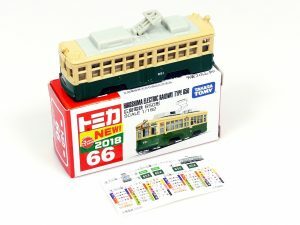 Photos on this listing of opened cars are from the shop collection, you will receive factory sealed examples of the red / black cars.